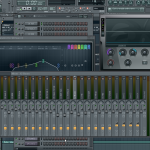 A lot of producers making beats have the necessary skills to make great sounding tracks from a compositional level. However, they often lack the knowledge to finalize their beat and make it sound great in the mixing process. Mixing is a complete art on its own and learning how to mix really takes time and dedication. The easiest way to learn how to mix is truly diving in and doing it yourself. As you’ve probably heard a million times there really is no magic preset or plug-in that’s going to give you a great sounding mix with the push of a button. It really does boil down to putting in the hard work and really giving mixing a shot. 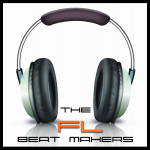 In this article we hope to get you in the right direction and show you how to mix beats. Don’t be afraid to mix beats if you have never done it before, you aren’t going to ruin your track. If you are worried about that, then save a new version of the beat before you start. If you focus hard on setting the right levels for each instrument and sample you will be surprised at how well things start to come together especially if you use the method below. So where do we start with the mix? If you’re new to mixing I think this first step will really help you. The first thing you should try, is to mute everything except for the kick or bass drum in your production. I like to start out by trying to get the kick at around the -18 dB average RMS level. Getting your kicks set here allows you to then bring in the other elements and build around the kick or bass drum. 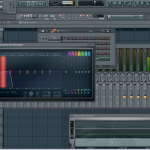 If you are unfamiliar with RMS levels you can use Wave Candy in FL Studio to measure RMS. This doesn’t have to be exact but you want to shoot for that average level around -18 dB. Once you have your kick to that level it’s time to start bringing in other elements one by one and setting their relative levels with the kick. As an example, let’s say the next thing that you bring in is the snare. Make the level of the snare work with the kick. At this point only your kick and snare should be soloed. Repeat this process with each other element in your track. I think this is a great way for beginners to learn because it can really be overwhelming when you start to mix with all elements of the track playing. Soloing them starting with the kick and then bringing in other elements one by one allows you to adjust to hearing the beat. By the end you are mixing the whole track altogether but you have built upon that single kick drum and your ears have begun to get used to the mixing process. As a final note I wouldn’t recommend doing this for other processing such as EQ compression delay or reverb as this method is primarily for setting levels. When you’re adding the other elements as listed above you really should be applying them with the entire mix playing. The reason for this is that you don’t want to shape any individual element without hearing the rest of the mix as it can sound dramatically different when brought back into the mix. The only time I can think of that you would want to use this method of processing outside of the entire mix is if you were using it for creative purposes. 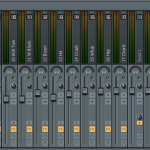 An example of this would be adding an effect such as a flanger to a specific element of your beat as part of the sound design. Give these beat mixing tips a try on your next beat and see how it works out for you. If you want to take this a step further check out our Producer Hit Kits. can you send me a step by step example of a song you did?